For the next few weeks, MacRumors is running a special giveaway event, which will see us highlighting and giving away high-quality luxury bags from manufacturers like Pad & Quill, Intrepid Bag Co, Whipping Post, and Saddleback Leather Company. We've got all of these bags on hand so we can give clear details on construction, quality, utility, and more. For today's giveaway, we've teamed up with Whipping Post to give away one of the company's all leather suede-lined Vintage Messenger Bags, designed to pay homage to antique postal bags. 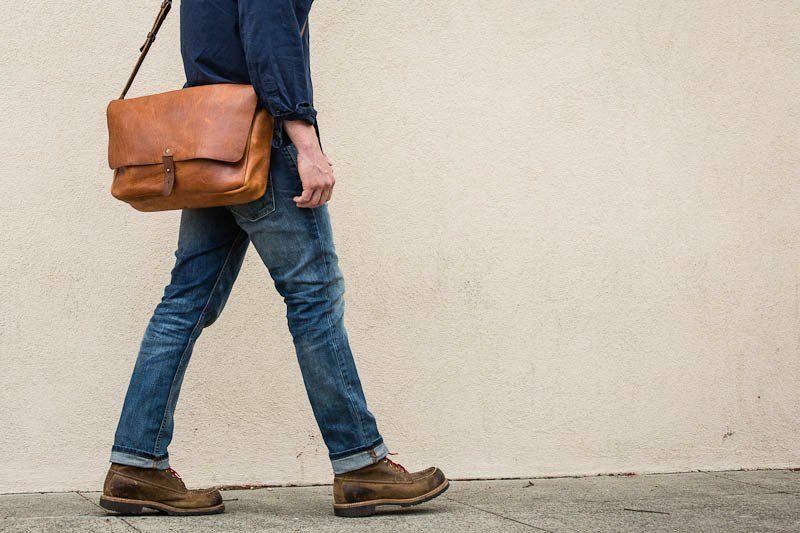 Compared to each of the bags in the giveaway, Whipping Post's Vintage Messenger bag is the softest and the lightest, but still with enough structure to hold all of your gear. Measuring in at 18.5 inches by 11.5 inches by 4 inches, it is large enough to hold a notebook as big as a 15-inch MacBook Pro, and it even has a dedicated MacBook or iPad section inside the bag. There's a big magazine pocket at the back of the bag, a smaller front pocket, and an inner pocket divided into two parts. It's thin, which I liked, but it also expands outward once it's filled with stuff, and due to its malleability and its ability to expand, the Vintage Messenger Bag holds a lot of stuff (but it never looks overly bulky). It fit my MacBook Pro, two iPads, several notebooks and loose papers, a water bottle, and a bunch of various accessories and sundries. The inside laptop flap clasps with a leather strap, as does the front flap, keeping both securely shut. The straps are, however, designed in a way that makes the bag easy to open and get into quickly, something I appreciated. There's a thin handle at the top so it can be held like a briefcase, and there's also a padded shoulder strap that can be adjusted to several different sizes with a set of buckles. The Vintage Messenger Bag comes in a nice chocolate red color, which is pristine out of the box, but I suspect it will wear nicely and gain a lot more character once it's broken in. 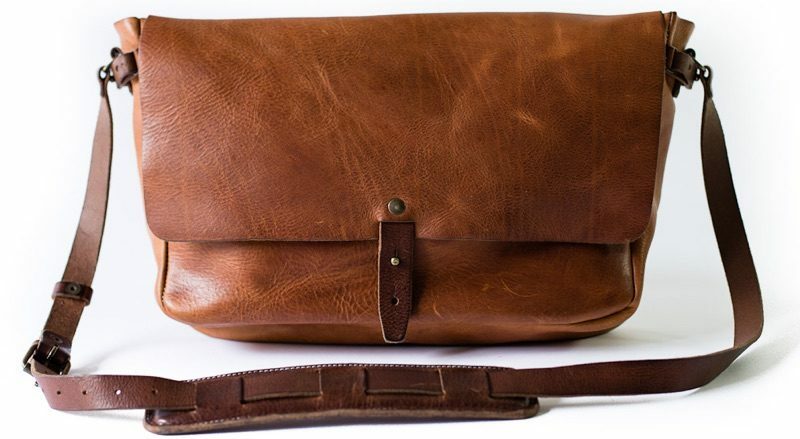 Whipping Post typically charges $295 for its Vintage Messenger Bag, but one MacRumors reader will get one for free. To enter to win, use the Rafflecopter widget below and enter an email address. Email addresses will be used solely for contact purposes to reach the winner and send the prize. a Rafflecopter giveawayThe contest will run from today (September 9) at 11:00 a.m. Pacific Time through 11:00 a.m. Pacific Time on September 16. The winner will be chosen randomly on September 16 and will be contacted by email. The winner will have 48 hours to respond and provide a shipping address before a new winner is chosen. Nice bag. I'm going to change citizenship and enter the draw. I don't get the name of this company. Why would anyone name a company after a sadistic ('https://en.wikipedia.org/wiki/Pillory'), racist ('https://3chicspolitico.com/2015/02/11/black-history-the-slave-whipping-post/') tool for torture? That's one tasty looking bag, but there's no chance because I live in maple syrup land. This is not "vintage". Vintage means something old, not a newly-manufactured product. Same idiots who call any vaguely old-fashioned looking bar a "speakeasy". Can we stop letting millennials name things? Exactly. While I think the style of the bag is okay, (and I'm definitely entering the contest) don't use "vintage" as a part of a name for a new product. It's like saying "buy our new Antique Furniture!" You can call it "retro" because that doesn't explicitly mean "old" the way vintage does. You can even use in the description "vintage-inspired" if you want to be all hipster and draw people in, but don't use the word "Vintage" right in the name of the product - unless you have actually found a stock of old items you're selling off.